You also, present for free your books on this page, contact me to know the conditions. Note: Mineral Webzine does not sell books, if a book interests you, contact the author or the organization selling it. Certain books are available only in bookshop. 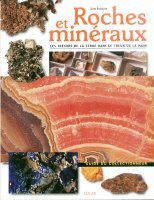 Hors Série Le Regne Mineral "Les mineraux et la geologie de la Villeder"
The book: Except series of the magazine - Even format that the magazine. Always beautiful photographs. Hors Serie Le Regne Mineral "le Mont Blanc"
HS LRM le Mont Blanc : Such a subject covered with the serious one of the review Regne Mineral could only give one remarkable work : cheer with all the team ! A review of this high place of French mineralogy, the decorated whole of splendid photographs. Find the anatases, quartz and especially the pink fluorites which made the world fame of this site. Essential!!! Hors Série Le Règne Minéral "Les minéraux du massif de la Lauzière"
HS LRM Les minéraux du massif de la Lauzière : Still a remarkable work on alpine minerals. The anatases from this locality are known in the whole world. Serious articles are accompanied by superb colored pictures. Introduction a la connaissance et a l'identification des gemmes : Easy gemmology for all! This book presenting the concepts of bases of this science which seems to be sometimes so complex. The book : 294 p. - No pictures - DIAGRAM et tableS in W&B - Format 21 x 15 cm. Ce que disent les pierres : Very teaching work. Principal geological phenomena presented with diagrams and photographs taken on the ground. Mr. Guiollard is our French specialist on gold and the mining history. Are presented here 4 books: la mine d'or et d'antimoine de la Lucette, Les mines d'or du district de Saint Yreix La Perche, les mines d'or et d'argent de Rouez, Klondike - un sci�cle de ru�e vers l'or. You will find the others on the site of P.C. Guiollard. A remarkable work and books rich in information and photographs. Really essential in your bookcase. These books are the result of many years of search in the field of the mining history in France, mainly on the old uranium and gold mines. PC Guiollard truly revives to you these stories full with emotion. Contact : P.C. Guiollard : many other books ! Hors Serie Le Regne Mineral "Baryte en France"
Hors Serie Le Regne Mineral "Baryte en France" : this issue of the magazine presents most beautiful baryte from France. The unconditional ones of this mineral will be delighted ! Le grand Atlas des Pierres et Mineraux - editions Atlas : Very complete book, presenting many photographs and infos on the mineral species. 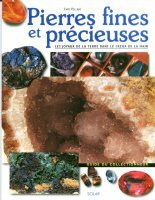 Hors series Mineraux et Fossiles : 5 monographs (soon 6) on garnet, beryl, tourmaline, calcite and zeolites. Serious, very complete works, rich in illustrations (diagrams, photographs, drawings of crystals), essential in your bookcase. The isue about garnets is already exhausted!! 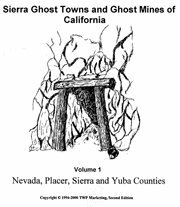 Sierra Ghost Mines and Ghost Towns of California : Many plans to find he old mines in California. The book : 130 p. - Photographs colors - Format 31 x 23 cm - Cover rigid. Volcans : Fabulous trip through the volcanic landscapes. 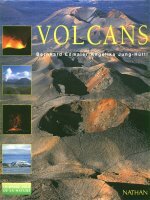 Superb many photographs and explication on the volcanic phenomena. The book: 160 p. - Superb photographs colors - Format 29 X 24 cm - rigid Cover. Cristal de Roche : Book published by the Geological Museum of Lausanne. Presentation of this mineral with superb photographs colors. Much information on alpine quartz. 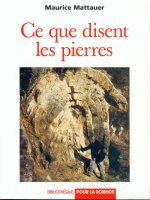 Pierres precieuses : Book published by the Geological Museum of Lausanne at the time of the exposure " precious stones " to Espace Arlaud , Musee Cantonalde Geologie, Lausanne (Swiss). Superb photographs to present the wonders of nature. Also present the precious stones of the Alps Suisses. 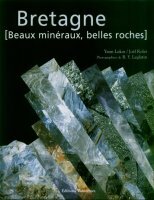 La mine de Vialas en Lozere (France) : Very complete book on the history of the mine and minerals of slags with many photographs. The book : 192 p. - Pictures in colors - Format 21 x 29,7 cm - Cover flexible. La mine de fluorine de Valzergues : Superb book on a known place of all the mineralogists. Geological presentation, work in the mine, history of the mine, mineralogy. Many photographs colors. The book : 228 p. - Pictures in colors - Format 21 x 29,7 cm - Rigid Cover. The book : 2OO p. - few colors pictures, white and black draws, two colors maps - Format 21,5 x 14 cm - Cover flexible. The book : 2O4 p. - white and black pictures - Format 21,5 x 14 cm - Cover flexible. L'Alpe Devero ed i suoi Minerali : A book on an alpine area rich in minerals. A complete description of geology and each mineral species with many photographs and maps. The book : 299 p. - Colors pictures, white and black draws, geologic maps - Format 24,5 x 17,5 cm - Rigid cover. A field guide to Topaz and associated Minerals of the Thomas Ranges, Utah (Topaz Mountain)(Vol. 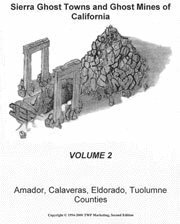 1) : Very interesting book : many information about this fabulous mineral site. Many pictures , info about minerals found there, maps of the best spot to find minerals at Topaz Mountain. The book : 103 p. - colors pictures - Format 21,5 x 14,5 cm - Cover flexible. Pierre et Terre, Espèces minérales des principaux districts miniers vosgiens : Complete list of minerals from this area, classified by mining districts. 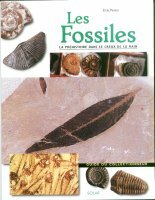 Les fossiles : La préhistoire dans le creux de la main - by S. parker. Little books interesting to begin a collection. The book : colors pictures - Cover flexible.